As wind-fueled wildfires rage on throughout Southern California, many thousands of residents have had to evacuate their homes. And the Skirball Fire, which started early Wednesday near Los Angeles' ritzy Bel Air neighborhood, has sent celebrities packing. Paris Hilton decided to leave her home, she announced on Twitter, and she thanked the firefighters battling the blaze for "risking their lives to save ours." "This wild fire in LA is terrifying! My house is now being evacuated to get all of my pets out of there safely," Hilton wrote to her twitter followers. "Thank you to all the firefighters who are risking their lives to save ours. You are true heroes!" 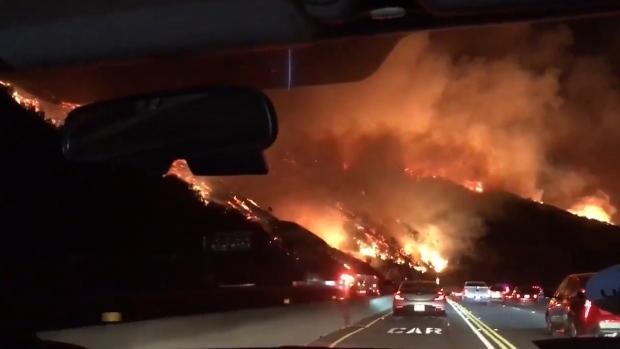 She included with her post a widely shared video of flames burning early Wednesday morning just alongside the 405 freeway in Los Angeles. A fire broke out in the Sepulveda Pass of the 405 freeway in Los Angeles. Many drivers and passengers captured incredible footage of the blaze during their morning commute. Lea Michele also chose not to take any chances and packed her bags early Wednesday morning. "Praying for everyone in LA...grabbed what I loved most this morning and so grateful to my friends for taking us in.." she wrote on social media. The "Mayor" star, who attended The Hollywood Reporter's Power 100 Women in Entertainment Breakfast after evacuating, is staying with close friends, including celebrity stylist Brad Goreski. The flames reached the Bel Air estate and winery owned by media mogul Rupert Murdoch. Roxanne Langer at Moraga Vineyards in Bel Air says a temperature-controlled wine storage shed burned after the fire erupted before dawn Wednesday, but it's unclear how much wine was lost. 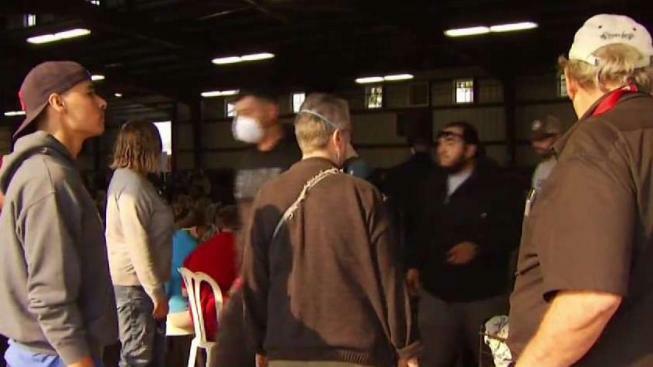 She says firefighters stepped in to douse the flames with the aid of helicopters and that other storage sheds, the winery itself and the estate's unoccupied house are not damaged. The winery has been evacuated. Murdoch bought the property for about $30 million in 2013. Langer says it appears the 7 acres of vines suffered only slight damage and the grapes already had been harvested. In a Facebook statement, Murdoch says some neighbors suffered heavy losses and his thoughts and prayers are with them. Other celebs, too, posted to social media about evacuations, including Lionel Richie, who said on Twitter that "due to the devastating wildfires, and helping family evacuate to a safer place," he had to cancel his concert scheduled for Wednesday night. For complete coverage of the wildfires, visit NBC Los Angeles.